While many have studied China’s recent rise as an economic power, China itself does not exist solely in the economic realm. Ordinary Chinese still place intense value on moral obligations and the nature of the social ties that connect them to others. This study explores the moral sphere as a key to understanding how rural Chinese experience and talk about their lives in this period of rapid economic transformation. 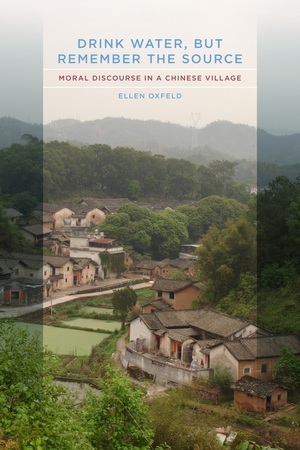 Ellen Oxfeld, who spent time in a village in southeast China’s Guangdong Province over the course of a decade and a half, examines both continuities and changes in the local culture. Although some have suggested that the reform period in China has been characterized by moral cynicism, Oxfeld finds that villagers appeal to a vibrant array of moral discourses when choosing a path of personal action or evaluating the behavior of others. Ellen Oxfeld is Professor of Anthropology at Middlebury College. She is the author of Blood, Sweat, and Mahjong: Family and Enterprise in an Overseas Chinese Community and the coeditor of Coming Home? Immigrants, Refugees, and Those Who Stayed Behind.